As one of the country's leading authorities on Abraham Lincoln and the Civil War period, Harold Holzer has authored, co-authored, and edited 43 books. His latest work, Lincoln: How Abraham Lincoln Ended Slavery in America (!t Books), is the official companion to Steven Spielberg's critically acclaimed movie Lincoln. 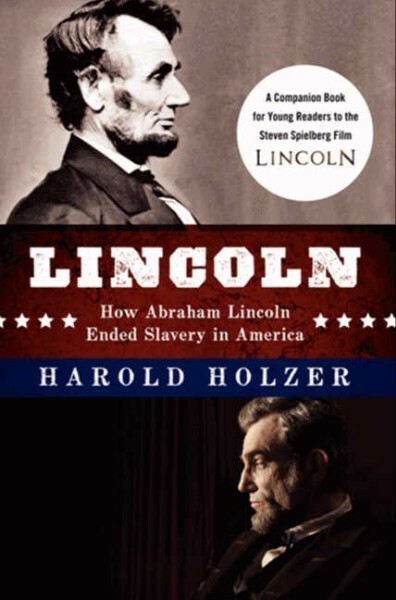 Holzer's fast-paced book touches on everything from Lincoln's fierce resolve to end slavery to his upbringing in Kentucky and Illinois. In his book and keynote presentations, Holzer describes Lincoln's work as a lawyer and congressman, his candidacies and victories in two Presidential elections, his duties in the Civil War as Commander-in-Chief, his actions as President, and his relationships with family and political associates. Holzer regularly speaks to schools, universities, historical societies, and museums, providing his audiences with fascinating insights into the life and actions of one of our greatest Presidents. Holzer is also the author of Emancipating Lincoln: The Emancipation Proclamation in Text, Context, and Memory, which Henry Louis Gates Jr. calls an "essential guide to Lincoln's Emancipation Proclamation." His other recent books include The New York Times Complete Civil War, co-edited with Craig L. Symonds, Lincoln on War, a collection of the 16th President's letters and speeches, and Father Abraham: Lincoln and His Sons, an award-winning young readers' volume on the Lincoln family. In addition to his writing, Holzer frequently appears on television, including The Today Show, The Charlie Rose Show, The Lou Dobbs Show, CNBC, CNN, C-SPAN, Fox News, The News Hour with Jim Lehrer, CBS Sunday Morning, Bloomberg News, and the CBS Evening News. He has also appeared in numerous series and documentaries, such as the History Channel's Stealing Lincoln's Body, PBS's Looking for Lincoln, and National Geographic's Lincoln: American Mastermind. After receiving his degree at the City University of New York, Holzer began his career as a newspaper reporter, eventually serving as editor of The Manhattan Tribune. Holzer has held many prestigious positions throughout his career, including serving as a political campaign press secretary for Governor Mario Cuomo and the public affairs director for the PBS flagship station WNET. 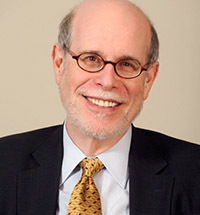 Currently, Holzer serves as Senior Vice President for external affairs at The Metropolitan Museum of Art and the chairman of The Lincoln Bicentennial Foundation, successor organization to the U. S. Abraham Lincoln Bicentennial Commission, to which he was appointed by President Bill Clinton in 2000. In 2008, President George W. Bush awarded him the National Humanities Medal. Holzer lives in New York with his wife of 41 years, Edith Holzer. "Holzer makes it clear that Lincoln was indeed a hero as well as a shrewd political operator. The book brings home the fact that at that point in American history, only a man possessing both traits could have ended slavery...Holzer does an admirable job of explaining situations and events while not talking down to his young readers." "The book is a delight, written for young people who may be discovering Lincoln and the Civil War for the first time. . . This may be the book that brings along a whole new generation of Lincoln fans." "Designed as a companion book to Steven Spielberg's latest release, Lincoln, by Harold Holzer, uses letters, speeches and documents to put together a portrait of the 16th president. A combination of more than 30 photographs, excerpts from Lincoln's own writing, a bibliography and end notes result in a well-told biography for youngsters." "An engrossing, well-rounded portrait of Lincoln as a humble, humorous, and passionate politician and humanitarian." "With a refreshing blend of analytical rigor and common sense, Harold Holzer places the Emancipation Proclamation in the context of its own time and circumstances, showing how Lincoln prepared public opinion for this controversial act, grounded it in his legal powers as commander in chief, and promoted its growing acceptance with eloquent paeans to freedom as a goal of the Civil War. This is a welcome new study of the Proclamation." "As the 150th anniversary of the Emancipation Proclamation approaches, Harold Holzer has given us a splendid book that provides essential historical framing for the document, its reception, and the trajectory of Abraham Lincoln's reputation as the Great Emancipator. A most enjoyable and informative read." "Holzer uncovers a complex, imperfect man who was guided by practical considerations as he struggled to both preserve and perfect the Union. A welcome, balanced, and necessary addition to Lincoln scholarship." "Emancipating Lincoln is a long-overdue contextual analysis of Lincoln's evolving emancipation program and its place in historical memory. Holzer, an authority on Lincoln..., pinpoints when, why and how the president moved toward freeing the slaves." "Holzer's book brilliantly and quite convincingly aims to restore Lincoln's place as a courageous American civil rights pioneer by considering the 16th president's actions, attitudes, and the Emancipation Proclamation itself within the political, military, and racial context of the time...In putting Lincoln's greatest achievement in historical context, Holzer has done the Emancipator, and historical scholarship in general, a valuable service." "What emerges from Holzer's research is a portrait of Lincoln as a man of vision who was adept at manipulating the news media. He was also discreet, even with his friends (both political and personal)...Holzer describes Lincoln's care in selecting the proper words, the right timing and the right context to effect the enactment of the proclamation. The portrait that emerges is one of a leader able to build consensus during the development of an important policy and in the middle of a war."